When we hear or see or read about countries like uganda, rwanda, congo its about the poverty stricken people, malnourished children and unending civil wars. These countries which are naturally rich with the forests which cover the most valuable minerals, the minerals which have become a necessity for modern day technology, are considered underdeveloped nations. Their blood efforts are used to build the developed nations, the technological advancement of the modern world. Can life be this much terrific in the same world where we are living? The documentary Blood in the mobiles by Frank Poulsen on the conflict minerals that are used in mobile and other companies gives a disturbing picture of the truth behind our advanced gadgets. This is the era of neo slavery and we all who use the gadgets indirectly participate in this what can be called as world war III. When some website states that millions of people, most of them children, are killed in civil war in congo, lakhs of women are raped in the conflict zones we rarely believe it. What if someone says that we are financing those wars by purchasing the mobile phones?! We will definitely disagree with it. But? Before disagreeing watch the documentary Blood in the mobile. 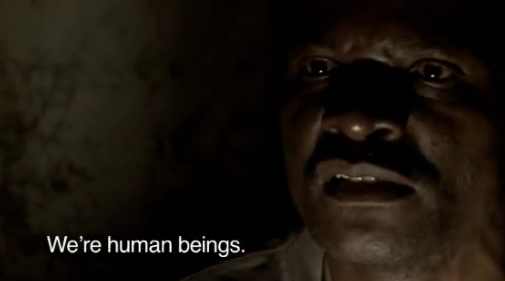 If you dont have enough time to watch the documentary atleast find some time to read the following statements by a congo civilian in the documentary. “ It seems that a group of Mai – Mai, who came from a place that is situated 40 km away came to loot the diggers. Those who are digging in the forest. Digging for whom? We dont have any idea. Is it the Mai – Mai or the FDLR [Democratic forces for the liberation of rwanda], who came back to try to take back what they consider their goods. Their coltan, their cassiterite .... all the things they are taking from Bisie. From Bisie, you know, who is selling it? It was under control of FDLR. Can you imagine? And then came the Congolese Bussinessmen.... they used to come and buy and then bring it to Goma. From Goma to Rwanda to Uganda. And from Uganda to Europe. To do what? For mobile phones and computers. Do you understand? Who can stop all these? The answer is rather difficult. The companies which are concerned more about their profits and top spot in the market are least bothered about the source of the minerals. If they can strictly decide not to use the conflict minerals then the supply chain can improve thereby improving the life of people in these countries. But can that happen? Hopes are very less.